SINGAPORE - With interest in women’s football at a high after the Women’s World Cup that ended earlier this month, Fifa 16’s addition of women’s national teams looks perfectly timed. The game’s creative director Matthew Prior, however, says that it is just a happy coincidence. Introducing female players to the long-running football video game series has been three years in the making. The first prototype was essentially putting a woman’s head on a man’s body, and Prior says a lot of work has been put in since to authentically replicate the feel of women’s football. He said: “It was a lot of work to do it authentically, tuning all the systems in the game so when you play, it does feel like quite a different experience. The physics engine, for example - two men colliding is a different feel to two women colliding. He added that even little details like how the players’ ponytails move take time to implement. Twelve women’s national teams - including world champions the United States - will feature in Fifa 16, with more possibly to come in next year’s edition if the addition proves popular. Prior says that feedback has been hugely positive so far, but there had been some criticism online when women’s teams were first announced. He hopes that the Women’s World Cup has shown naysayers that the women’s game is played at a very high level. “The Lloyd goal in the final - there’s not many men that could do that in training, let alone do it on the World Cup final stage,” he said. The US’ Carli Lloyd scored from the halfway line in the final against Japan; a goal that was named the best of the tournament. Apart from women’s national teams, new additions to Fifa 16 include the Fifa Trainer, which will show players the actions they can perform with their player at any point in the game. 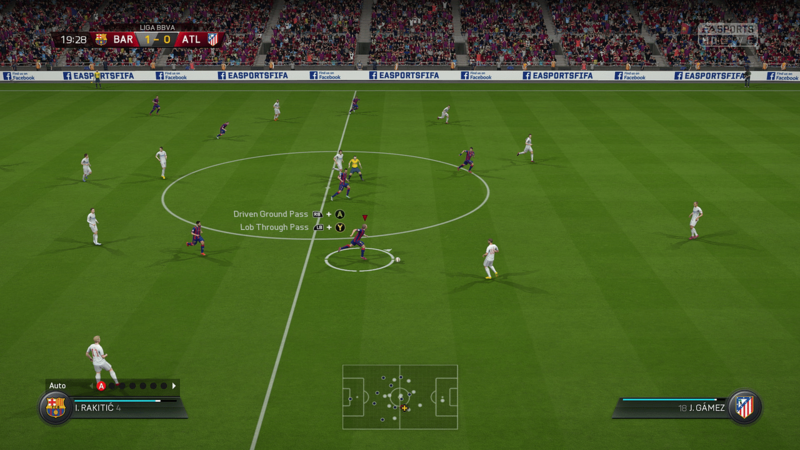 For example, it will show the player what buttons to press to slide tackle while defending. Prior says that the trainer will help attract new players and help current fans play better. 's creative director, says the trainer will help attract new players and help current fans play better. He adds that “every system” in the game has been tuned and tweaked. The footballers are now more agile while defending, and AI will move defenders to cover attacking runs and into positions to cut out danger. Other areas said to have improved include shooting and crossing. Shots will react differently depending on the contact with the foot, and crosses now can be played into the spaces ahead of on-running attackers, instead of directly to them. The game will be out on Sept 22 on PlayStation 4, PlayStation 3, Xbox One, Xbox 360 and Windows.